A major English-teaching conference will take place in Seoul this weekend for educators to sharpen their skills and hear from some of the profession’s leading figures. The Korea Teachers of English to Speakers of Other Languages will gather at Sookmyung Women’s University in Seoul for a two-day conference starting Saturday. The conference will feature more than 200 workshops, seminars and classes for teachers looking to improve the way they teach. 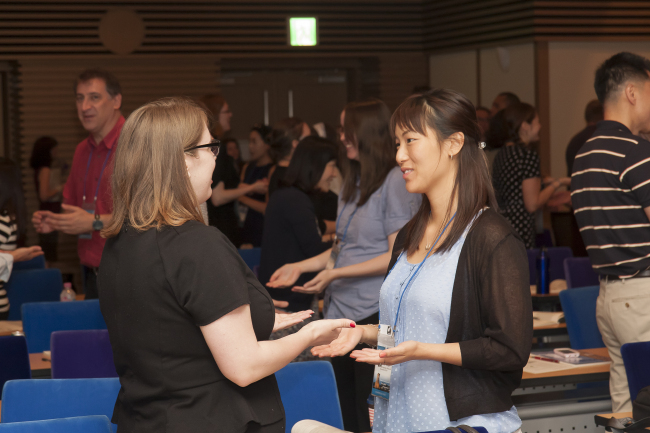 “The KOTESOL International Conference is a fantastic opportunity to explore new perspectives, gain new insights, reflect on your teaching, and socialize with teachers from around the globe,” said KOTESOL President Lindsay Herron. KOTESOL has several hundred members, with around 30 percent of them Korean. It expects more than 1,000 people at the upcoming international conference. This year’s main plenary speakers are Thomas S.C. Farrell, a professor of applied linguistics at Brock University in Canada, and Tracey Tokuhama-Espinosa from the Harvard University Extension School in the US. Farrell will talk about reflective practice and offer a framework for teachers to reflect on their work and abilities, as well as introduce research that shows its benefits. Espinosa will look at five major changes in education in the 21st century, and then use a survey to help teachers identify where they need to improve, before offering suggestions on how to fill gaps in personal skill sets. Other featured speakers include Willy A. Renandya of the National Institute of Education in Singapore, William Littlewood of Hong Kong Baptist University, Robert S. Murphy of the University of Kitakyushu in Japan, Lee Bo-young of Ewha Womans University in Seoul and Burcu Tezcan-Unal of IATEFL TTEd-SIG & Zayed University in the United Arab Emirates. On-site registration will cost 60,000 won for a two-day pass and 40,000 for Sunday only, with discounts for students and KOTESOL members. Visit koreatesol.org/ic2016 for more information.